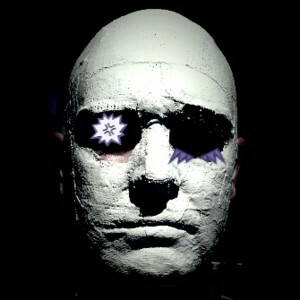 Al Smith (aka DrAlienSmith) plays an important role in the Perth music community. Over the last 15 years he’s worked with more than 300 bands at his Bergerk! Studios, including pivotal Perth outfits such as The Devil Rides Out, Drowning Horse, Abbe May, Eleventh He Reaches London, Claim The Throne and Extortion, as well as Hidden Shoal’s own Tangled Star and The Slow Beings. To add to this impressive list is Smith’s own work under the moniker DrAlienSmith. His debut EP, Under Songs, is testament not only to Smith’s mastery of the studio, but also his wonderful sense of texture, atmosphere and melody. Under Songs‘ monolithic compositions move at a glacial pace and feel like they are shifting the earth under your feet, but rather than alienating the listener, they put you in the driver’s seat and ask you to grip the wheel because it’s a long, long way to the ground. Powerful stuff! That would have to be New Hope For The Dead by Sydney band Kiss My Poodles Donkey. I saw this album in a record store mid 90’s and bought it on the basis of the band name alone. One of those lucky flukes because at the time this album became like a bible to me. It was full of pretty amazing weirdo rock grooves with crazy production and killer lyrics. After a bit of research I found out that the main man behind this band was Chris Townend, a studio producer and engineer who ran Big Jesus Burger studios. He recorded all his own projects in between his other studio jobs and at the time I was a fresh faced studio geek looking to set up my own studio, so this guy was a legend. This album contains the best cover of a Prince song ever, and that’s saying a lot because I can’t stand Prince! The first Perth Big Day Out in ’93. My first proper festival ticket with Iggy Pop at the top of his game, Bjork and band on fire, Sonic Youth (my heroes at the time), and then bands like Mudhoney and Nick Cave. All that with only 6000 people (not like the following BDOs, which topped 30,000). It was an amazing and inspiring day.